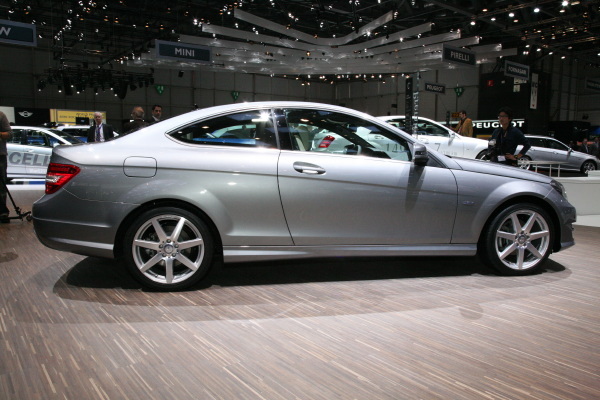 If you have been craving a redux of the defunct Mercedes CLK coupe, wait no longer. 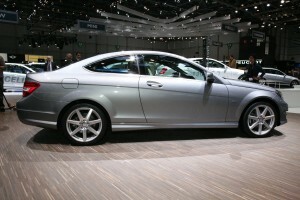 Mercedes took the wraps off its new 2012 C-Class Coupe, a 2 door version of its recently redesigned C-Class sedan. 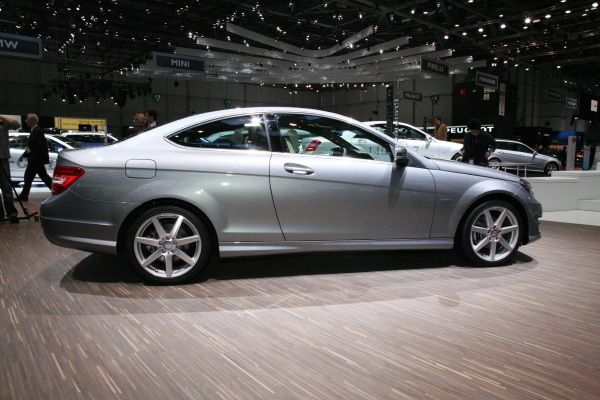 The coupe gets 2 long doors, a lower roof-line and a multitude of engine choices. 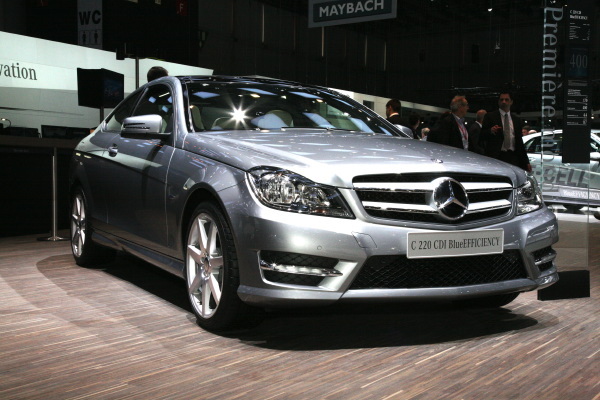 In Europe buyers have the choice between a pair of 2.1L diesel engines, one outputting 168HP and 295 lb/ft of torque. 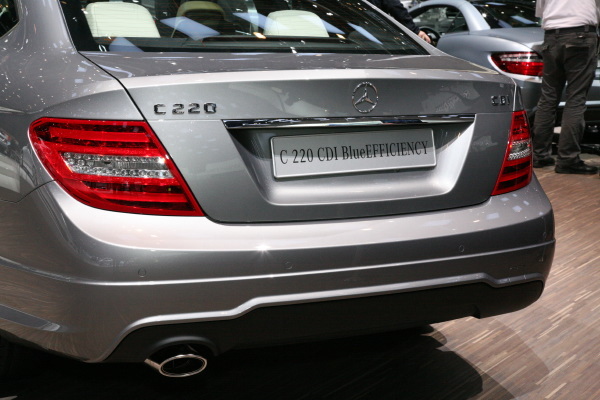 The other 2.1L engine has been massaged to produce 201HP and a stunning 369 lb/ft of torque. Here in North America we will be able to choose between the 3.5L V6 sporting 304HP or a more fuel efficient 201HP turbo-charged 1.8L four cylinder. 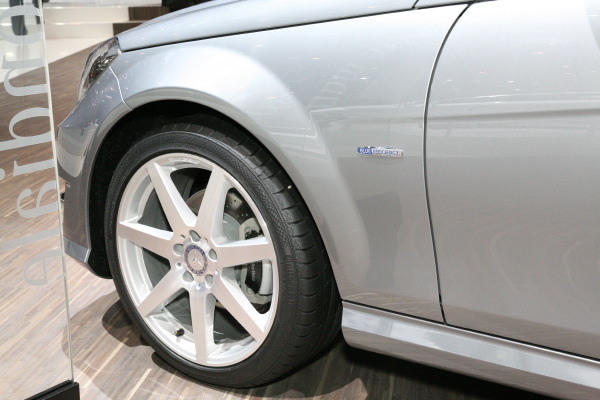 Naturally no one at the Mercedes booth was talking about a C63 AMG version of the sleek new coupe. However you have to know one is coming down the pipe either later this year or early next. One of the coolest features inside the cabin was a racing inspired flat-bottom steering wheel. 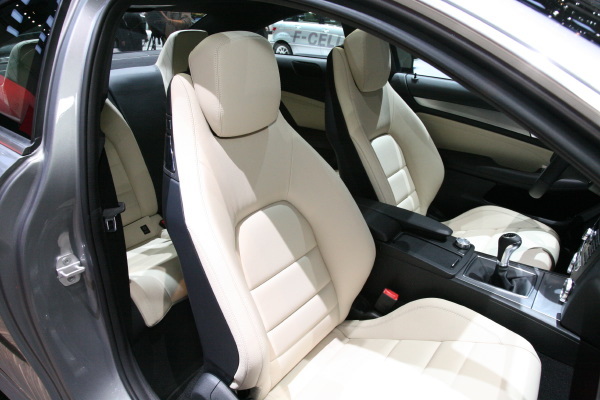 The entry level coupe will come with aluminum trim while the upscale model with larger engine gets burl walnut accents. 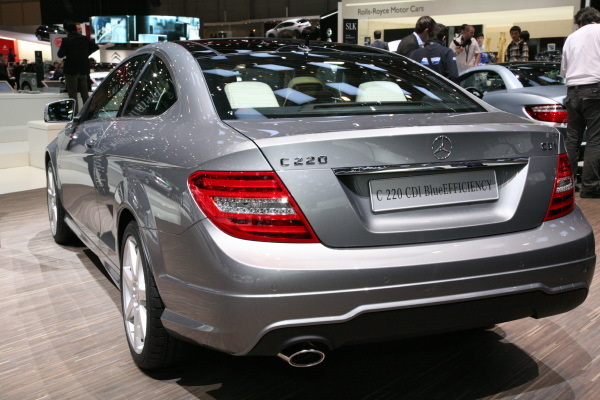 The C-Class Coupe will hit showrooms before this fall.